Chipotle’s new CEO comes from another Mexican chain. The struggling chain’s new top executive will be Taco Bell’s current CEO Brian Niccol. Niccol will replace Chipotle’s founder and current CEO, Steve Ells. “His expertise in digital technologies, restaurant operations and branding make him a perfect fit for Chipotle as we seek to enhance our customer experience, drive sales growth and make our brand more relevant,” Ells continued. Niccol joined Taco Bell 2011 as its chief marketing and innovation officer. Over the last seven years, Taco Bell has experienced explosive growth due in part to Niccol’s strategy of pushing for creative marketing and new menu items that at times border on bizarre, such as the Naked Chicken Chalupa. Recently, Chipotle has made major a major push into digital, with the company reporting earlier in February that digital orders had increased 50% in the most recent quarter, compared to the same period last year. The chain also hinted it may be testing new menu items— a fast-food strategy that Chipotle has long refused to try. Niccol’s new role as Chipotle’s CEO and a member of the company’s board will be effective starting March 5. Chipotle has struggled since an E. coli crisis two years ago drove customers away from the chain. Shares of the company have fallen more than 60% since peaking in August 2015. Prior to joining Another Broken Egg of America, Carson was the director of development for Oklahoma-based Coolgreens, a healthy lifestyle eatery offering salads, sandwiches and wraps. Before Coolgreens, he was the owner of White Sands Franchise Development, the U.S. developer for The Counter Burger and BUILT Custom Burgers. Earlier in his career, Carson was the co-owner and CEO of East Coast Kilt, the largest developer for the Tilted Kilt Pub and Eatery, where he developed over 70 units. Throughout his career, Carson has been extensively involved in concept start-ups, brand re-concepting, operations, training, marketing, site selection, design and construction. Goalz Restaurant Group, recently formed franchise operator for three great brands: Captain D’s, Church’s Chicken, and Dog Haus, announced today the appointment of Jeron Boemer as vice president of operations in Arizona. In his new role, Boemer will responsible for planning, directing and coordinating operations for the company’s franchise locations opening within the Arizona area. In addition, Boemer is partnering with Goalz to develop Dog Haus locations in Tempe, Arizona, Colorado Springs and Castle Rock, Colorado. As the newest member of the executive team, Boemer joins Goalz with four years of franchising expertise and more than 15 years of beverage distribution industry experience. Prior to becoming a Dog Haus franchisee of two locations in Yuma, Arizona, he most recently served as sales execution coordinator at Sun Valley Beverage, where he determined merchandising pricing schedules and monitored customer behaviors to focus sales efforts. Goalz recently opened their newest Dog Haus restaurant, the celebrated craft casual concept known for its gourmet hot dogs, sausages, burgers and one-of-a-kind creations, in Rockford, Illinois in December and is slated to open a second Illinois location in Decatur later this month. In line with their company-wide mission to be able to show the difference each Goalz Restaurant has made in their respective communities, they aim to partner with local organizations to conduct food drives and host fundraisers. Goalz Restaurant Group currently plans to open and operate more than 250 restaurants over the next five years across ten states, with goals to help employees become owners in their own restaurant or franchise and be known as the company that always goes an extra degree when it comes to food quality, guest service, friendly staff and restaurant cleanliness. For more information on Goalz Restaurant Group, visit http://www.goalzllc.com/. Today, Donatos Pizza announced two hires, naming Kevin Myers as Chief Marketing and Information Officer (CMIO) and Amos Durbin as Vice President of Franchise Operations. Both new hires have a February 13, 2018 start date. Sonic Corp. (NASDAQ: SONC), the nation’s largest chain of drive-in restaurants, today announced promotions of Claudia S. San Pedro to president and Corey R. Horsch to chief financial officer. Shareholders also elected S. Kirk Kinsell to the board of directors. Ms. San Pedro most recently served the company as executive vice president and chief financial officer. A twelve-year veteran of Sonic, Ms. San Pedro joined the company as treasurer and was subsequently promoted to vice president of investor relations. Appointed chief financial officer in 2015, she led all financial strategies for the company and planning practices, as well as the brand’s relationship with lending institutions, shareholders, and the financial community. In her new role, Ms. San Pedro’s responsibilities include franchisee relations, supply chain, franchise sales and development, and business planning. She will provide oversight of the finance function as well. Filling Ms. San Pedro’s vacated role of chief financial officer is Corey Horsch. Mr. Horsch joined Sonic as vice president of investor relations and treasurer in 2015. In his new role, he is responsible for all financial planning, internal audit, accounting and tax, while maintaining leadership for the investor relations and treasury functions. “I am delighted to promote Claudia to president and Corey to chief financial officer,” said Cliff Hudson, Sonic Corp. CEO. “Claudia’s focus on building relationships, business acumen and strategic mindset position the company well for future growth. Claudia is a highly skilled leader with an eye for developing talent, as evidenced by our ability to seamlessly transition Corey into the CFO role. Her readiness for this new role has been evidenced by the leadership she has shown to date, and I welcome her executive partnership. SONIC, America’s Drive-In is the nation’s largest drive-in restaurant chain serving approximately 3 million customers every day. Nearly 94 percent of SONIC’s 3,500 drive-in locations are owned and operated by local business men and women. For 65 years, SONIC has delighted guests with signature menu items, 1.3 million drink combinations and friendly service by iconic Carhops. Since the 2009 launch of SONIC’s Limeades for Learning philanthropic campaign in partnership with DonorsChoose.org, SONIC has donated $9.5 million to public school teachers nationwide to fund essential learning materials and innovative teaching resources to inspire creativity and learning in their students. To learn more about Sonic Corp. (NASDAQ/NM: SONC), please visit sonicdrivein.com and please visit or follow us on Facebook and Twitter. To learn more about SONIC’s Limeades for Learning initiative, please visit LimeadesforLearning.com. Applebee’s Neighborhood Grill + Bar® today announced the addition of Joel Yashinsky as senior vice president and chief marketing officer to the brand’s leadership team. With more than 20 years of experience in the restaurant industry, Yashinsky brings a wealth of knowledge and insight from his previous marketing roles and will report directly to John Cywinski, president, Applebee’s. In this role, Yashinsky will have oversight of all aspects of Applebee’s marketing, including strategic positioning, marketing plan development, media, advertising, merchandising, beverage innovation and public relations. In addition, he will lead our Franchise Marketing Committee in partnership with franchisees. Prior to joining Applebee’s, Yashinsky held a variety of positions with McDonald’s. Most recently he served as the marketing vice president for McDonald’s USA, overseeing the brand’s U.S. marketing calendar, promotions, advertising, sports marketing and agency relationships. Before joining McDonald’s USA, Yashinsky led the brand’s Canadian division as chief marketing officer consisting of 1,400 restaurants and 300 franchisees. He holds a bachelor of arts degree from Bowling Green State University. Applebee’s Neighborhood Grill + Bar offers a lively casual dining experience combining simple, craveable American fare, classic drinks and local drafts. All Applebee’s restaurants are owned and operated by entrepreneurs dedicated to serving their communities and offering quality food and drinks with genuine, neighborly service. Applebee’s is one of the world’s largest casual dining brands; as of Sept. 30, 2017, there were 1,945 Applebee’s franchise restaurants throughout all 50 states, Puerto Rico, Guam and 14 other countries. Applebee’s is franchised by subsidiaries of DineEquity, Inc. [NYSE: DIN], which is one of the world’s largest full-service restaurant companies. Clare Reichenbach has been appointed Chief Executive Officer of the James Beard Foundation (JBF). The announcement was made by Frederic M. Seegal, chair of the culinary nonprofit organization’s board of trustees. 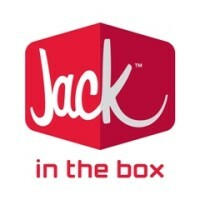 Jack in the Box Inc. (NASDAQ: JACK) today announced two leadership changes at the Jack in the Box® brand: Frances Allen has informed the company of her decision to resign as Brand President, effective February 9, 2018, and Marcus Tom will join the company on February 12, 2018, as Vice President and Chief Operating Officer. Tom will oversee Operations for company and franchise restaurants as well as Strategic Initiatives & Operations Services. 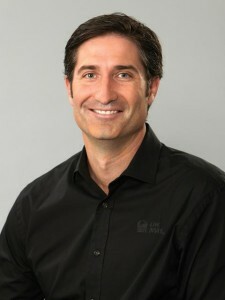 Tom will join Jack in the Box with more than 15 years of experience in operations leadership positions, most recently at JAB Beech Inc., where he was Senior Vice President, Operations of its Caribou Coffee brand from January 2017 to December 2017 and Senior Vice President, Operations for its Einstein Bros. Bagels brand from July 2015 to December 2016. From March 2006 to June 2015, Tom held several positions of increasing responsibility with Starbucks Coffee Company. He was Director of Business Operations from January 2014 to June 2015 for all licensed stores in the U.S. and Canada. From May 2012 to December 2013, he was Starbucks’ Regional Director, Licensed Stores in California and West Arizona, and from March 2006 to May 2012, he was a Regional Director with responsibility for Starbucks’ company-operated stores in San Diego and the greater Phoenix area. He also served as a Regional Vice President overseeing 600 stores during a six-month limited-time assignment in 2009. Prior to joining Starbucks, Tom held several positions with YUM Brands International from 1991 to 2006, including being a senior leader for YUM’s franchised business in Central America and the Caribbean. Tom is a graduate of the Wharton School at the University of Pennsylvania with a bachelor’s degree in Economics. Said Tom, “I’m very excited to be joining the Jack in the Box leadership team. The company has an incredible culture with people who care deeply about each other, their customers, and the communities where they work and live. Walk-On’s Bistreaux & Bar’s is all about celebrating teams. The brand known for its quality food, culture and game-day atmosphere, today announced leadership promotions from within the team. Angela Wallace as vice president of tax. Jones, Schein, Tomlin and Wallace are veterans of SONIC, with 20, 16, 10 and 10 years of experience with the company, respectively, in a variety of leadership roles. Treadwell is returning to SONIC after a two-year hiatus. Hale is new to SONIC, with more than 20 years of internal audit experience. “Angela, Craig, Johnny and Matt have an impressive combined tenure of 56 years,” said Cliff Hudson, Sonic Corp CEO. “They are each highly respected and knowledgeable professionals who understand our business and have earned well-deserved reputations both here at SONIC headquarters and among our franchise community nationwide. Scot is no stranger to SONIC, having worked on our construction services team previously, and we are glad to welcome him back. We are also delighted to bring Christie on board, as her experience and restaurant background will be an asset to SONIC.” As SONIC’s new vice president of internal audit, Hale is responsible for the management of the internal audit function in providing independent objective assurance and consulting services designed to improve the company’s operations. She comes to SONIC from Ruby Tuesday, where she served as vice president-internal audit. Prior to her work at Ruby Tuesday, Hale spent 11 years in internal audit with Bloomin’ Brands, Inc. In his new role of vice president of development, Jones is responsible for leadership of the franchise sales and construction teams while driving the market planning and strategy necessary to increase the company’s unit growth. Over his 20-year tenure, Jones has played a key role at SONIC and previously served as vice president of real estate and development and other leadership roles on the development team. As vice president of operations services and systems, Schein is responsible for the planning, execution and implementation of operational processes and procedures for the entire SONIC system. Prior to this promotion, Schein spent 13 years working in various roles on the SONIC marketing team before shifting to operations in 2014. In his most recent role in operations technology, Schein built a new team to operationalize technology at more than 3,500 drive-in restaurants to deliver better guest service and achieve better sales and profits. As vice president and legal counsel, Tomlin will be responsible for the legal aspects of significant contracts, including technology and other key vendors, as well as disputes, litigation and other complex legal issues. Previously, Tomlin served as assistant general counsel on SONIC’s legal team where his efforts related to key technology and vendor relationships critical to the company’s business initiatives. Treadwell returns to SONIC to lead the construction and architecture and engineering teams. He previously served as SONIC’s director of construction services from 2007-2015. A 35-year industry veteran, Treadwell has a wealth of knowledge regarding construction as well as architecture and engineering. As vice president of tax, Wallace is responsible for directing and coordinating tax strategy and administering tax affairs in compliance with all federal, state and local and international tax laws as well as financial reporting related to tax matters. She previously served as senior director of tax, where she identified and directed filing of tax refund claims among other critical tax initiatives. She is co-founder and charter member of the Oklahoma City Chapter of Tax Executives Institute and served as past chapter president as well as past national Tax Executives Institute board director. To date, SONIC has 3,593 drive-ins located in 45 states and continues to grow rapidly in new markets. In 2017, SONIC opened 66 new drive-ins, making it the strongest pace in seven years. Darden Restaurants, Inc. (DRI) today announced the appointment of Dave George as Executive Vice President and Chief Operating Officer (COO), a new position within Darden. As COO, George will maintain his oversight of Olive Garden, Bahama Breeze, Seasons 52 and International Franchising while adding Cheddar’s Scratch Kitchen to his leadership portfolio. He will continue to report to Gene Lee, President and CEO of Darden. “Dave is a seasoned and trusted leader who consistently delivers strong results. As we continue to simplify our operations across all brands, he is uniquely qualified to drive strategic prioritization and accountability, with a laser-focus on operational excellence,” said Lee. George was named President, Olive Garden in 2013 and Executive Vice President, Darden Restaurants in 2016. He joined Darden in 2007 as President, LongHorn Steakhouse where he had served since 2003. Prior to that, George served as Senior Vice President, Operations for LongHorn Steakhouse (2001 – 2003) and Vice President, Operations for The Capital Grille (2000 – 2001). The Company also announced that Dan Kiernan has been named President, Olive Garden, effective immediately. Kiernan joined Olive Garden as a Manager-in-Training in 1992 and worked his way through the operations system – moving from General Manager to Director of Operations to Senior Vice President, Operations. He was named Executive Vice President, Operations in 2011 and has played an integral role in Olive Garden’s transformation by focusing on flawless execution in order to deliver memorable guest experiences. “Dan is a great restaurant operator. His ability to make the complex simple, motivate more than 90,000 team members and lead teams dedicated to delivering memorable guest experiences makes him the perfect leader for Olive Garden,” said George. “I am excited that Dave has accepted this new challenge that will broaden his influence across the organization and ensure a smooth and effective transition at Olive Garden. I am confident that under Dave and Dan’s leadership, Olive Garden will continue to deliver outstanding food and service to our guests,” said Lee. Darden is a restaurant company featuring a portfolio of differentiated brands that include Olive Garden, LongHorn Steakhouse, Cheddar’s Scratch Kitchen, Yard House, The Capital Grille, Seasons 52, Bahama Breeze and Eddie V’s. Our people equal our success, and we are proud to employ more than 175,000 team members in nearly 1,700 restaurants. Together, we create memorable experiences for 380 million guests each year in communities across North America. For more information, please visit www.darden.com. California Pizza Kitchen (“CPK” or the “Company”) today announced the appointment of Jim Hyatt as Chief Executive Officer, effective immediately. Mr. Hyatt’s appointment follows the recent retirement of G.J. Hart as CEO of CPK. Mr. Hyatt is a veteran restaurant executive who has successfully led multiple national restaurant brands over the course of his 40-year career. Most recently, Mr. Hyatt served as CEO of publicly-traded Ruby Tuesday (600 restaurants, $1.2B in annual sales), where under Mr. Hyatt’s initiatives, Ruby Tuesday grew profitability while delivering all-time high guest attribute scores. At the request of the Ruby Tuesday Board, Mr. Hyatt led the company through a successful take-private transaction that closed this past December. In 2017, Nation’s Restaurant News named Mr. Hyatt one of its top new executives of the year. Prior to Ruby Tuesday, Mr. Hyatt served as CEO of Church’s Chicken (1,600 units in 22 countries, $1.1B in system-wide sales) and publicly-traded Così Inc., as well as Global Chief Operating Officer for Burger King, where he led operations for 13,000 restaurants with $20B of system-wide sales in 65 countries. In total, Mr. Hyatt spent 32 years in the Burger King system, including 10 years as a multi-unit franchisee. In 1985, California Pizza Kitchen (CPK) opened its first restaurant in Beverly Hills and introduced diners to innovative California-style pizza. Since then, CPK has become a global brand known for creative California cuisine. Today, CPK is approaching 300 restaurants in 13 countries and U.S. territories around the world. Dedicated to a unique dining experience, CPK is now introducing its Next Chapter featuring reimagined menus, open kitchens, and unique renovations in all restaurants across the country. For more information on California Pizza Kitchen, visit www.cpk.com. Golden Gate Capital is a San Francisco-based private equity investment firm with over $15 billion of capital under management. The principals of Golden Gate Capital have a long and successful history of investing across a wide range of industries and transaction types, including going-privates, corporate divestitures, and recapitalizations, as well as debt and public equity investments. Representative restaurant/retail investments sponsored by Golden Gate Capital include Red Lobster, Bob Evans Restaurants, On The Border Mexican Grill & Cantina, Eddie Bauer, Express, Pacific Sunwear and Zales. For more information, visit www.goldengatecap.com. 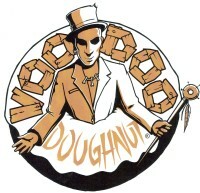 Voodoo Doughnut today announced the appointment of Chris Schultz as the company’s CEO. Schultz has over 30 years of restaurant industry experience, most recently with MOD Pizza serving as the company’s Senior Vice President of Operations. During his tenure, he helped steward the company from one to over 300 locations worldwide. Prior to MOD, Schultz spent 13 years at Starbucks Coffee Company as an operational advisor to the senior executive team as the company expanded domestically and internationally. At Voodoo, Schultz will call upon his experience to focus on growth of the brand, strengthening the culture, entering new markets and staying connected to the communities that we operate in. Voodoo Doughnut currently has six locations in four states, most recently opening on the City Walk Universal Studios Hollywood. Creators of the Bacon Maple Bar, Portland Cream and Memphis Mafia doughnuts, Voodoo has earned a cult following worldwide for its unique take on the classic doughnut shop. Founders Kenneth “Cat Daddy” Pogson and Tres Shannon built their “little doughnut shop that could” into a dynamic fun zone in front of and behind the counter. Schultz succeeds Robin “Lobster” Ludwig in the role of CEO. Ludwig tragically lost his battle with brain cancer in 2015.